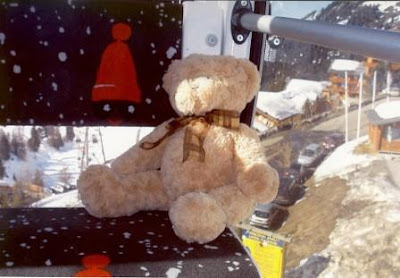 On the 17/2/2008, Sasha Bear came on a skiing holiday with the Bett family to 'Belle Plagne' in France. On then night before we left for France we needed to stay in a hotel near to the airport as we needed to check in to fly at 5am the next morning. 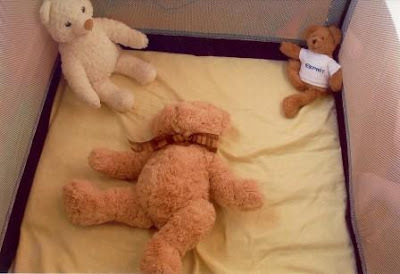 It took a while for Sasha to get to sleep that night as she was very excited as was I. Eventually we both fell asleep and dreamt of the coming adventure. The next morning my mum and dad told Sasha that because she did not have a passport or a ticket she would need to hide in one of our suitcases for the trip to France, but they said it could be the first of many adventures! After two and a half hours on the plane we arrived in Geneva where we had to get on a three hour bus transfer to get to out hotel called 'le duex domaine'. Once we arrived Sasha was able to get out of the suitcase and see the room that we were staying in and also her bed for the week. 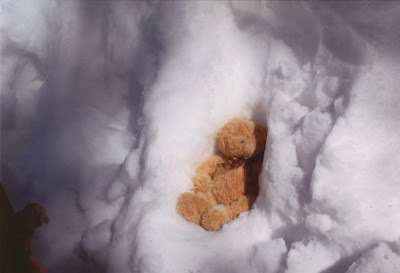 The week was taken up with skiing and playing in the snow, although Sasha was too small to ski so she just played in the snow. 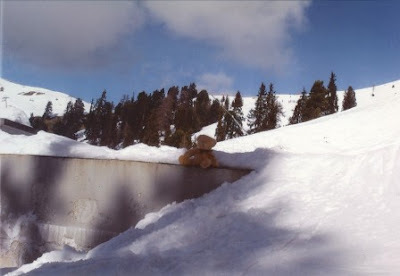 One of Sasha's favourite things to do was to dig herself into the snow and lie very still to try to see if she could hide from us. Sasha was very good at this but we always found her eventually. Every afternoon Sasha and I as well as my sister and mum and dad would take the gondola down to the lower village and there we would have hot chocolate, and big pancakes which are called crepes in France. Sasha's favourite was the crepe with the chocolate sauce although she also liked a topping with butter and sugar. It was hard work trying to keep Sasha Bear's face clean with all the chocolate sauce! 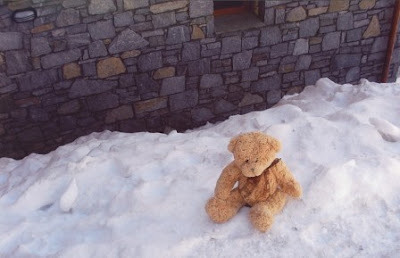 On the last day we again needed to be up very early to get on the bus at 6am for our transfer back to Geneva to catch our plane home to Scotland so Sasha had one last look out the window before climbing back into the suitcase and getting comfy for the long trip home. 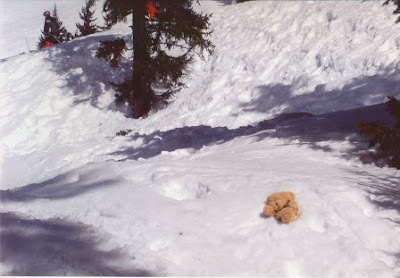 I think Sasha Bear really enjoyed her me term break with us and although she never got to do any skiing I think that all the snow ball fights and games of hide and seek in the snow made up for it. 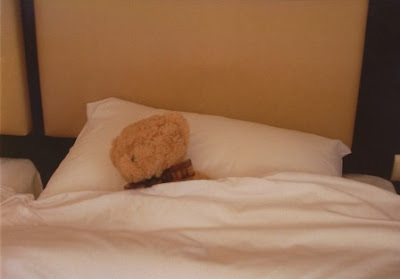 It was great fun for me to take Sasha on holiday and I promise I looked after her well. 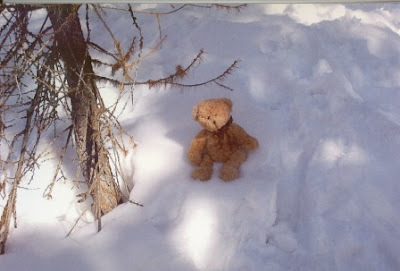 I hope you enjoy hearing all about the holiday from Sasha Bear.